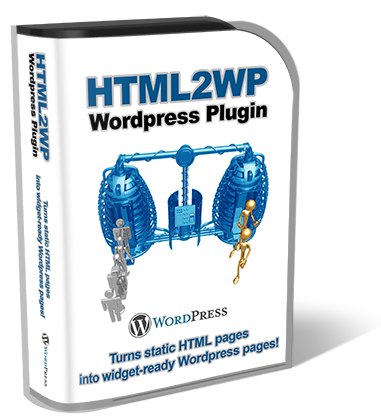 HTML2WP WordPress Plugin – Converts HTML Pages To WordPress. 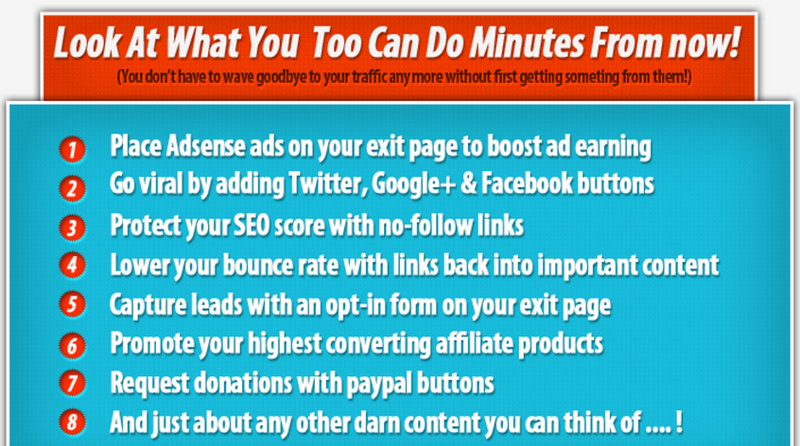 All with just 4 clicks and in less than 1 minute – 100% guaranteed. HTML2WP is a super-simple WordPress plugin that takes an existing, static HTML page and turns it into a WordPress page that looks EXACTLY like the original AND that can accept the Widgets of your normal active WordPress theme. HTML2WP WordPress plugin takes your beautiful, static-HTML salesletters and turns them into identical-looking, WordPress-page, widget-ready, SEO powerhouses! Sometimes, you want to upload a sales letter or a page from your HTML website on to a WordPress website, and have it look perfect. You need to upload the HTML file, .css file and images, and get the server “paths” just right with FTP software – something that isn’t the easiest thing in the world, unless you have the necessary technical knowledge. 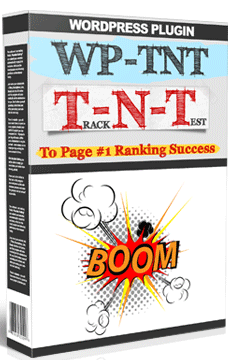 WP-TNT WordPress Keyword Research Plugin – $12.95 – If you have a WordPress platform website, WP-TNT plug-in is a must. A Test and Track keywords plugin with many useful features. WP-TNT plug-in searches the major search engines such as Google, Bing, Yahoo, etc. with position information for your keywords and your website. Easy to download and implement. Automated and tracks what works and what does not. Easily see the results by keeping an eye on YOUR competition. Impressive down-loadable data and graphs with up to date stats on demand. Freshinator WP WordPress Plug-In – Auto Update Posts – Keep Your WordPress website FRESH With The Freshinator Plug-in. The Freshinator WordPress Plugin delivers fresh AUTOMATED content to your OLDER Blog posts no matter when published and you can customize the Title and colors of the box to match your website for seamless integration. The Freshinator WordPress Plugin turns your OLDER stale content into newer and fresher content. Simple and easy to configure. The Freshinator AUTO inserts the “Fresh Box” with a number of newer post snippets that are randomly selected based on the category of the current post. 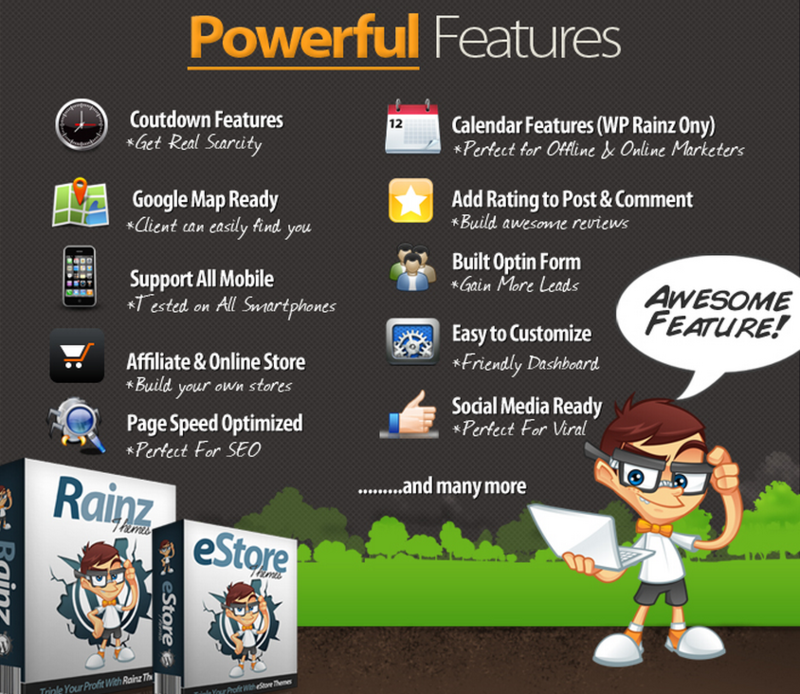 WP Rainz & WP eStore Themes are compatible with All Major Browsers including Mobile. You have to see it to believe it. 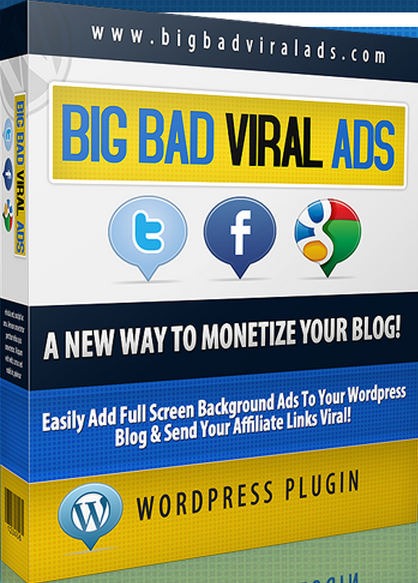 Big Bad Viral Ads – WordPress Plug-in – Full Viral Background Ads For Your WordPress Website or Blog. Use BBVA to send your affiliate links viral on Facebook, Twitter, Google+, etc. 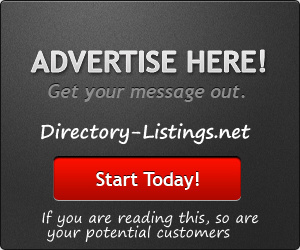 Sell ad space on your website or Blog. Sponsored posts, categories or pages. MSN has been using Fullscreen background ads for years as a high-impact, rich-media channel for targeted audiences. They work because they stand out. Choose exactly where to display your display ads – set an ad to display on every page, just one post or post. Set a start and expiration date for each ad. Add a customized message to your share popup – great for providing traffic incentive to “click” and send your link viral. 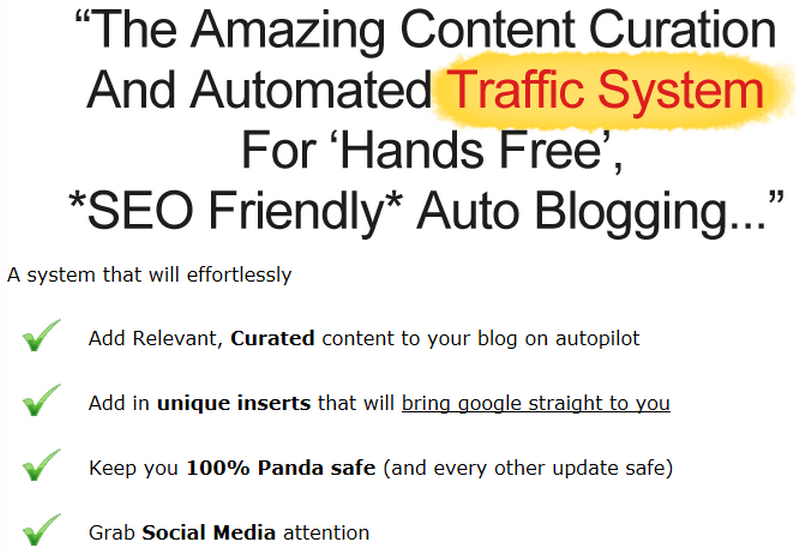 AutoBlog Content Curation – WordPress Plugin – This has to be one of the HOTTEST WordPress plugins to launch in a LONG TIME. It’s the 1st WordPress Plugin that curates content. The biggest buzz has been around creating content that gets rank… and making sure to stay panda safe. Now there is a plugin that makes it ONE CLICK EASY! This plugin is SHEER genius. It actually creates content at the push of a button. This plugin seriously has it all! Click Here – You gotta grab this as fast as you can. 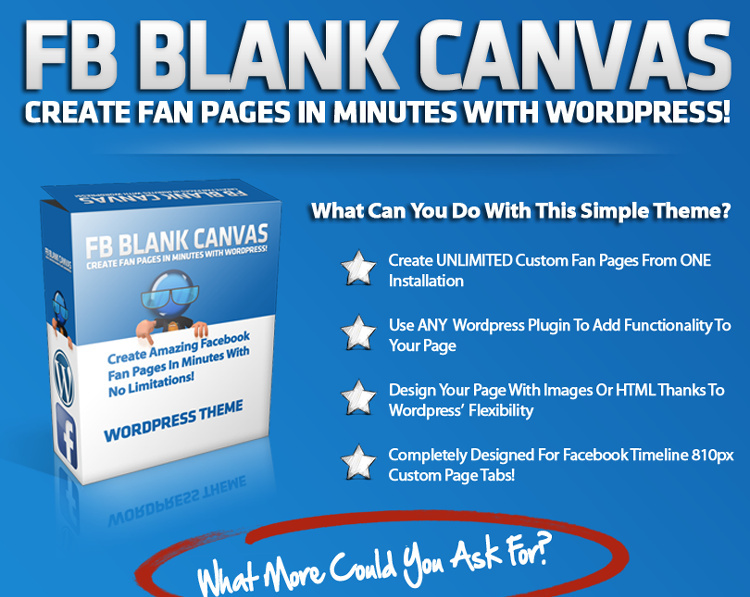 This Amazing package allows you to create WordPress Niche Blog or Website in five minutes. And Install the beautiful WordPress Themes in less than FIVE CLICKS. All WP Themes are SEO Friendly and are customizable with expertly coded valid XHTML and CSS. 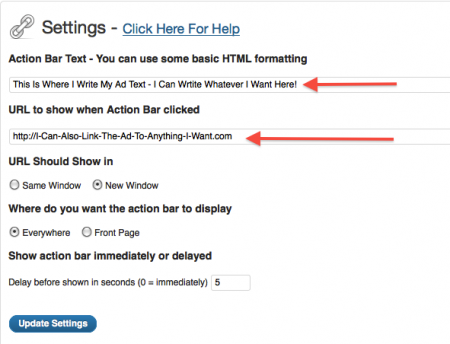 Advertisement ready – Use a short code to insert ads into posts, text widgets or footer. Niche Video Site Builder – This is one of the most popular video website builders. Improved years after years, it now powers more than 410,000 video websites on the Internet with its unsurpassed features, and is used by more than 15,000 internet marketers. The Best Niche Video Website Builder Is Just One Click Away From You! Video Websites receive much more visitor traffic than any other website. Enter your Keyword(s), your Adsense ID (or any other ad) and upload. It won’t take you more than 60 seconds! 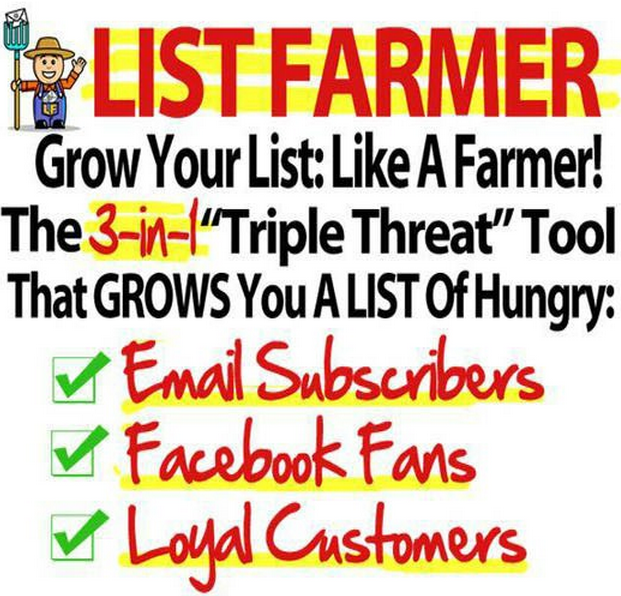 List Farmer – WordPress Plug-in – List Farmer has been called “The Triple-Threat Weapon” because it combines THREE mega-powerful features into a single, easy to use WP plugin. If someone tapped you on the shoulder and handed you the exact rapid-fire system he used to build a mailing list of 63,000+ subscribers in a shockingly brief period of time, would you listen? Quickly create unique, eyeball-grabbing pop-up boxes that compel your visitors to give you their email address (or any information you request) and the size of your list multiplies every week. 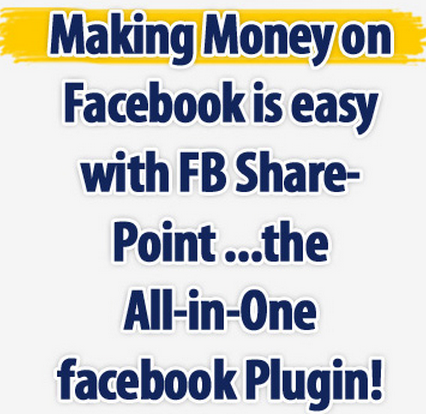 It also plugs you into the marketing power of Facebook Fan Pages. 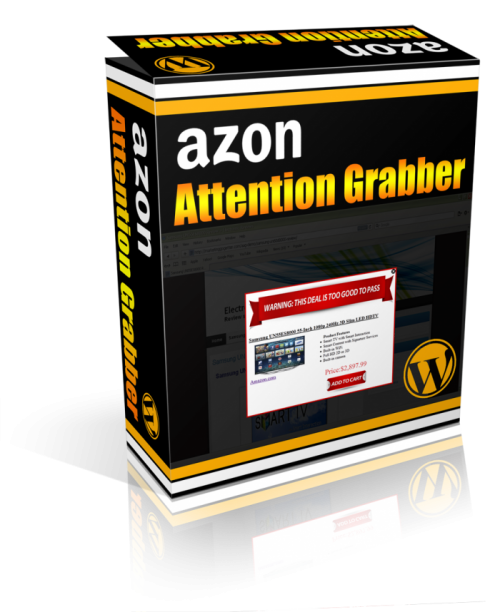 This same WP plug-in tool also allows you to “grab” your website visitors before they exit your site. 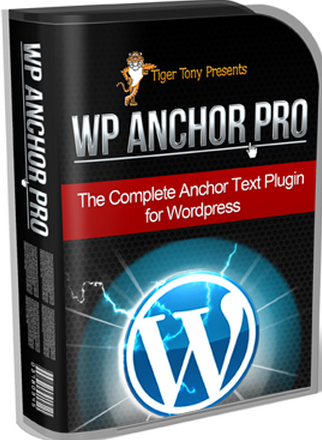 WP Anchor Pro – WordPress Plugin – Stop wasting your time creating anchor text links manually. This amazing WordPress plugin creates anchor text links throughout your entire WordPress website, and much more. And WordPress Anchor Pro also includes a widget which rotates your anchor text automatically. Great for linking out to Affiliate or CPA offers. It does not matter if your website has five pages or 1,000 pages. WP Anchor Pro Plugin can build internal banklinks with a single click! Google Share Button – WordPress Plugin – Google Has Announced the Brand New Google Share Button — It’s Answer to Facebook’s Share button. Google Share Button X3 WordPress Plugin is new and awesome. The Real Traffic Source from Google+ will be this new Share button! 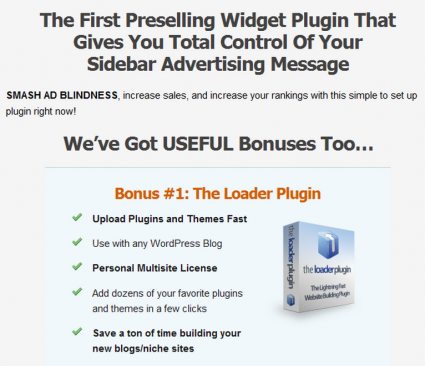 It’s brand new and with this plugin, you can start implementing it today!!! But knowing Google, they expect us to know code because they are geeks… but who has time to mess with code… This WP Plugin will do it all for you – real easy. Automatic Relevancy Booster Built Right Into WordPress Dramatically Boost Your Value In The Eyes Of The Search Engines! Increase The Rankings Of Your Sites with Internal Links Maximizer … Get WAY More Results With The SAME Amount of Backlinking! This WordPress plugin will help the search engines determine exactly what keywords you are all about! 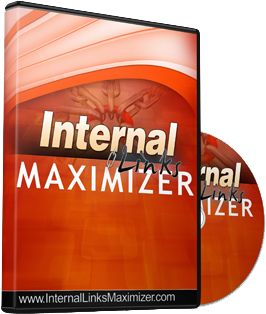 They will instantly recognize your position on the web and reward you accordingly… Internal Links Maximizer Is A Cornerstone for SEO Success and Higher Rankings! Build relationships between posts or pages. Visual overview of your internal linking structure. You need to link to the right authority websites, the right way. This WordPress plugin – Relevance Builder will save you a ton of tedious, boring, repetitive, annoying and frustrating work. The search engines will love your website. Multi-Site and Developer License included for one super Low Price. 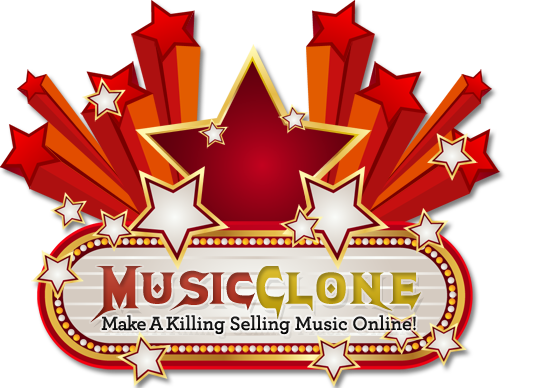 Own A Music Website – Music Clone — Harness the Power of iTunes. Make a Killing Online Selling Music. How would you like to own the the most powerful music website? 100% Fully Automated – Everything is automatically updated on a regular basis. NEW music is added automatically, almost on a daily basis. 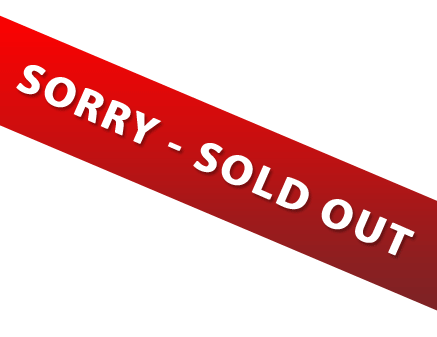 This means running your music website is very easy with NO maintenance required. Beautiful Design – Professional appearance – Exclusive features that are the state of the art in website development. Actual website demo to view and browse around. A WordPress platform with many features. A Huge Music Database – 1,000+ Music Albums, Songs, Videos, Artists, Posters, Previews Customer reviews & ratings and much, much more. Cloak.FM WordPress Link Cloaking Plugin – There are Over 5,000 Blogs Currently Using this WordPress Plugin. Cloak.FM is more than just another WordPress Link Cloaking Plugin. Cloak.FM is an SEO Juggernaut. Cloak.FM will not just “Cloak” your links. Cloak.FM will make EVERY Link on Your Blog Search Engine Optimized. Affiliate URLs, Image URLs, etc. There are so many features in this WordPress Plugin that it takes a 30 Minute Video to show You how truly powerful this One of a Kind Plugin is! Internet Marketing – Website Owner Membership – Isn’t it time you got serious about your website business, and reached out to others who can help? Are you interested in driving traffic to your website? Affiliate Marketer MUST Have Tool. Go Pages PRO is a professional WordPress Plugin and Tool for the Affiliate Marketer. Over 10,000 SOLD. It can easily create Social Bar, Footer bar for Twitter, FaceBook, Pinterest and more. Premium WordPress Theme – Video Optin – Easy to Use WordPress Theme which you can add Videos, an Optin Form or a Banner. It’s so Easy to set up and Install. You will not find another WP Theme like this anywhere, this is a fresh Premium Wp Theme. No matter what niche you are in, Market or Business, you can modify the theme to your needs. Start using Videos to Genereate Sales and Leads. This WP Theme is Desktop, Tablet, & Mobile Ready! The responsive layout ensures easy browsing for tablet & mobile visitors by adapting your content to fit their screen. Forget pinching, zooming, swiping, and side-to-side scrolling. 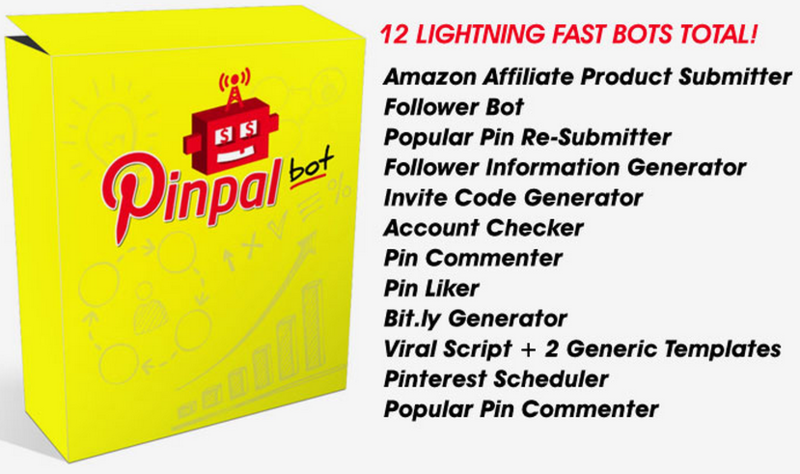 Website Automation Wizard that includes just about every social media platform. – organic search engine trick – and affiliate link automation tool. The main feature of this amazing platform is that it creates UNIQUE and valuable content automatically for your readers without you having to be involved. SemiAutomatic website content posting. YouTube, FaceBook, Twitter, Stumblr, Clickbank and many more social media sites! Once the WordPress plugin (tool) is installed, you simply pick the niche you want for your website.Once you have chosen your niche – you integrate the different social media platforms and “posting” settings – and this program will instantly start going to work. All your pics are tagged with a URL that you choose, so when it is shared it will have your URL and when someone clicks on your image it will take them to wherever that URL points to. So, What Does this WordPress Plugin Do? 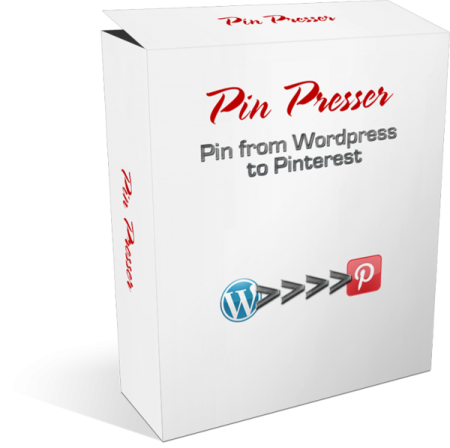 – Posts from WordPress to Pinterest. Nice! 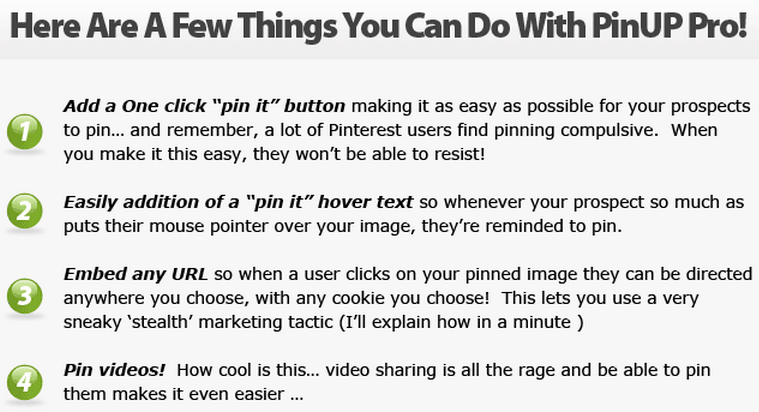 – Allows users to pin the pictures on your site to Pinterest. Very Nice! – Embeds your URL on the picture, so that when it is shared it will point back to wherever you want. Crazy Nice! So, you can just make a simple post with a picture and it will get posted to your Pinterest account. This will get you exposure and hopefully get your pins noticed. And then it gets shared on hundreds of pinboards, each of which has huge amounts of targeted traffic. And any time someone clicks that image, they’re sent straight to YOUR blog. 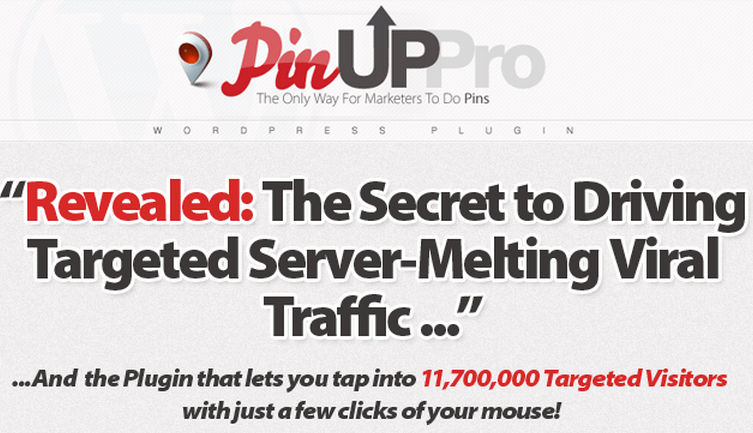 You’ve got over 11,000,000 unique Pinterest visitors just waiting to come banging on your door! WPZoner – Premium WordPress Theme For Amazon Affiliates! Let Me Briefly Ask You, How Much is WPZoner Theme Worth to You?? You and I have seen people pay $47-97 for just “one” Amazon WordPress Theme. The point is, we’re offering a GREAT WPZoner Theme that’ll help you to establish your own Amazon Store and start to making money online..
* Find the most popular Pins on Pinterest.com via a keyword search built into the bot & re-submit with your own links & descriptions. * Allows use of Tokens for using any information from the original Pin including: Pinner Username, Pin Description, Pin Image Link, Pin Board Name. * Re-Submits pin into the same board name & category. If the board does not exist it will be automatically created. * Allows use of delay settings, max to re-submit. Content is no longer King. Curation is King. Content curation is not a fad, it’s here to stay. Google loves it – Your readers love it – it gets you traffic, authority and thought leadership. We offer a software system that can research all this information at your fingertips. Post remotely to your blogs – so you don’t have to login and much more…. 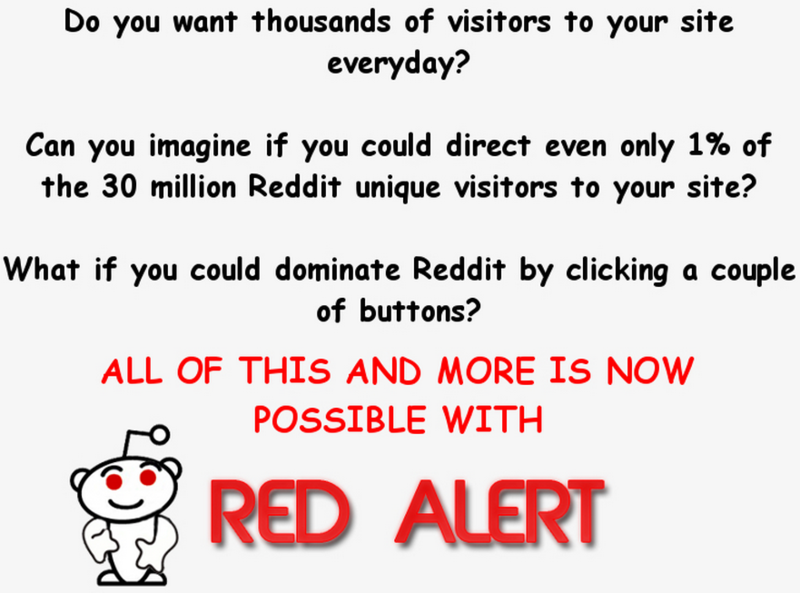 Reddit.com is a social news website where the registered users submit content, in the form of either a link or a text “self” post. Other users who vote the submission “up” or “down”, which is used to rank the post and determine it’s position on the website’s pages and front page. Curation is generating content on a topic or niche, handpicking the best of the content information we can find on our given subject, and using a selection of that content for our OWN blog or website. This is a killer plugin that makes your job as an offline consultant super easy. It takes everything a business needs (and is missing) and places it into one simple to use tool. 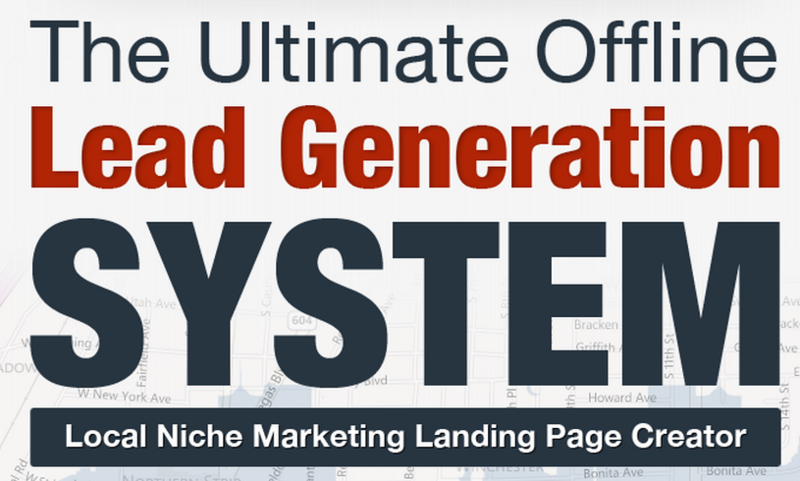 The landing pages you can build with a single click are top quality and having it all contained within WordPress makes it a must-have plugin for those with offline clients in niche markets looking to generate leads! Struggling To Find Exact Match Domains? Never Knowing If Near Match Domains Will Work? Instantly Analyze Any Keyword and see exactly how Near Match Domains Are Ranking. Everyone knows that exact match domains can give websites a huge boost in the rankings. Especially for niche sites it is a key SEO factor. Simply drop the keyword you want to target into Near Match Domain Analyzer and Click………..a few seconds later you will get all the information you need to know if it is worth using a near match domain. Use this WordPress plugin to get the most out of your visitors! This awesome plugin will redirect your visitors based on what country they are from. Alos, you can use this plugin to rotate your offers. 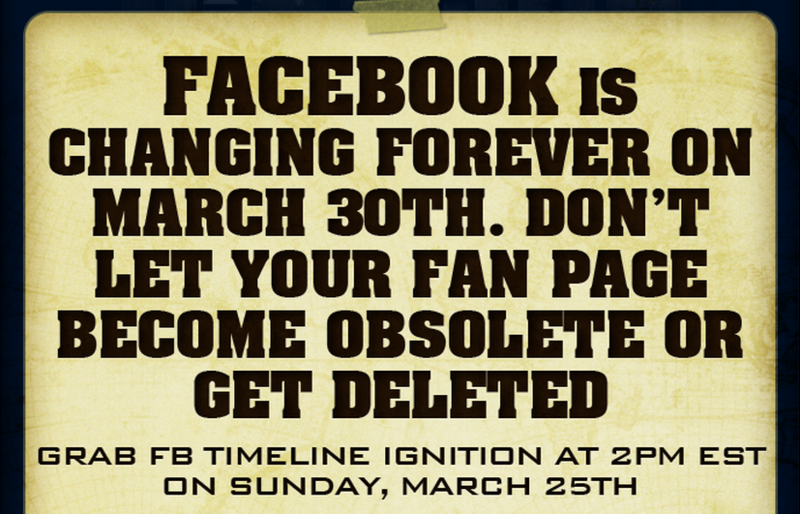 FaceBook Timeline Ignition – FaceBook Is Changing Forever On March 30th – Are you ready? Millions of the “old” fan pages are going to be affected, as they are mandatory changed over to the new FaceBook timeline system. Everything will be completely different…. from their old “wall”, to what will be the “default” theme that visitors will see. It’s a major change and we are here to help! Turn your WordPress articles into a mountain of fresh, Unique PDF Content! Do you want Unlimited, HIGH PR, Quality, Authority Backlinks? Well here’s your way to High PR Authority Backlinks on a budget! 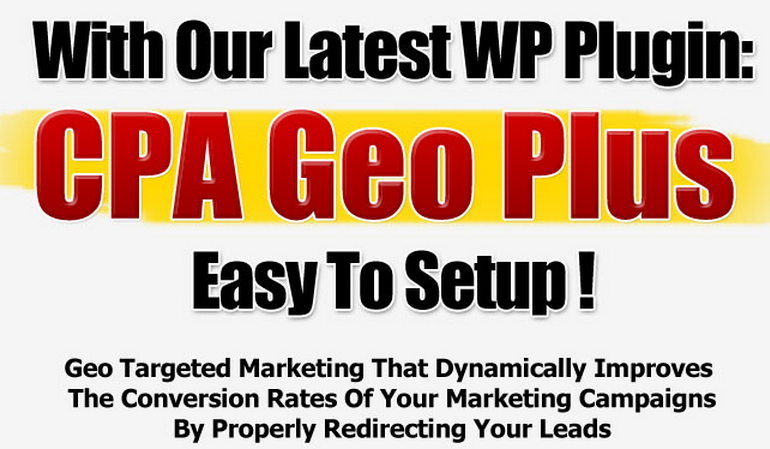 You can create powerful local business sites in any niche that you choose with WP-LocalBiz. We even have a growing list of pre-constructed niche sites with unique “non duplicate” content that you can get fully installed by us for only $24.90 as a WPLB licensee! Local Businesses will generally pay between $500 and $1,500 per localbiz site (depending on back end work & content you put into it) to purchase these from local business online consultants because they love the simple working principles and leads generated by these sites. 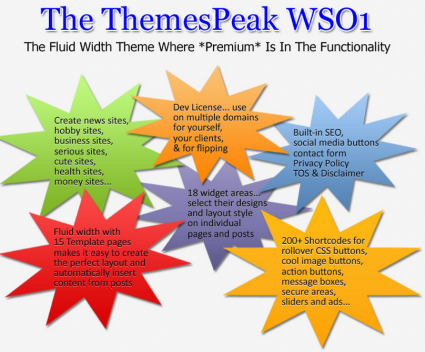 WORDPRESS – WpSEO Card – NEXT GENERATION PLUGIN! I’m not going to spoil the surprise, but I think you’ll be shocked at what it does, and how it can help your business and your clients. Use this plugin to offer Offline clients something no one else is offering, (you could get paid just for installing it!) and get more clicks and higher conversions on your affiliate sites!! (or any site!) A Simple, easy to use plugin that will put a Google rich stars snippet formatted stars on ALL your PAGES with 3 CLICKS!! You will love this WordPress Theme for a number of reasons. This theme has all the bells and whistles. The theme is very user friendly and it has everything you will ever need built right in the dashboard allowing you to build some awesome websites. Upload all your WordPress plugins in ONE simple action! Simply Multi select – click – upload – all done. 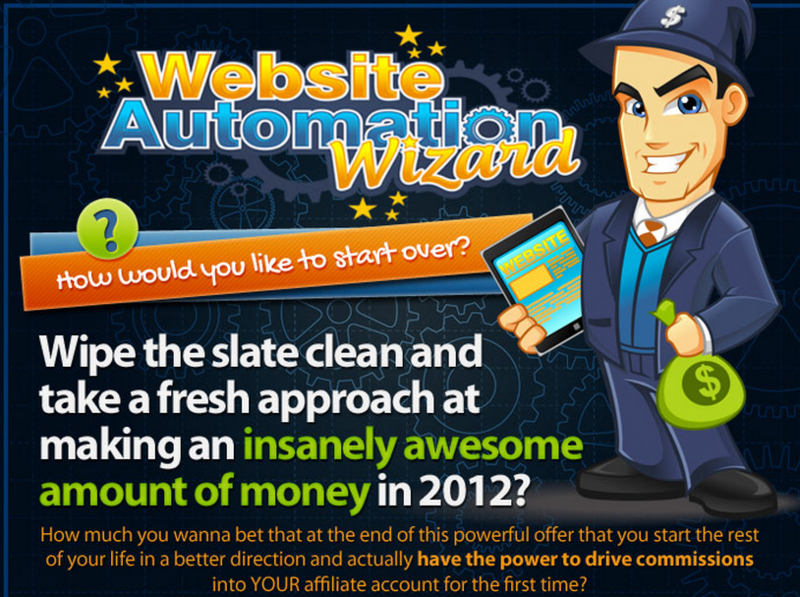 Who else wants a WordPress plugin that compels action from your visitors and increases profits? And helps with search engine rankings! With This Simple WordPress Plugin You Can Tap Into That Psychology, Grab Your Visitors By The Eye-Balls & Force Them To Click On Any Link You Want! 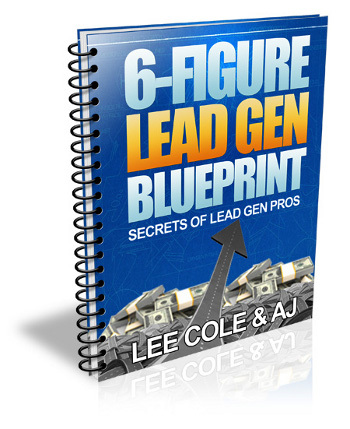 Insane Amounts Of Click Throughs, Leads & Sales From Your Blog Are Just One Click Away From You! “How A Yellow Line, A Single Sound Byte & One Line Of Text Turned A Few Clicks A Week Into Thousands Of Clicks Per Day & An Unstoppable Avalance Of Leads & Sales!” Why Pop Up Blockers Where The Best Thing That Ever Happened To Pop Up Advertisers! Now here’s the thing… That pop up blocker bar looks almost the same in every browser. Some form of yellow bar with a text message on it and something to click (in order to see what was blocked, allow it to display etc) – and a very distinct sound will play too. It allows you to add powerful SMS and Voice capabilities to your blog with point and click ease. Works in the USA, Canada, and the UK. I recommend getting the multi-site license because once you see the power this plugin holds, you’re surely going to want to use it on ALL of your sites! NEW PLUGIN: ONE Click WordPress SEO! Just released what may be the easiest SEO WordPress plugin ever….. Enter your keywords, then press ONE button to update your entire blog with SEO optimized post edits – OR you can do them one post at a time it’s up to you! 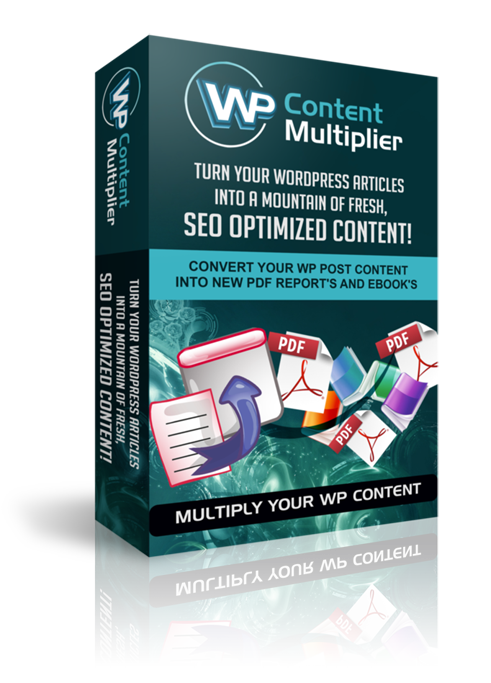 Here’s a sweet new traffic-getting, SEO WordPress plugin that optimizes your ENTIRE blog for Google with just ONE CLICK – 100% guaranteed. MUST HAVE plugin for WordPress. 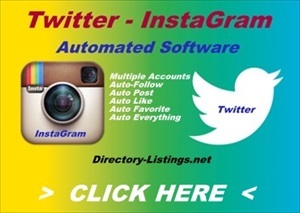 And it will do ALL your posts ALL your pages for any keyword you choose. 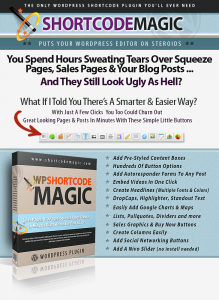 We are offering a just released latest plugin for your WordPress blog… WpShortCode Magic! I buy every plugin this guy comes out with. They ALL add true POWER to your marketing arsenal, and this one does too. Developer Licenses are available, so you can use it on your client’s sites as well. Neeraj Agarwal, founder of InkThemes.com, has just released his own Warrior Special Offer on the Warrior Forum. He’s giving you THREE Premium InkThemes WordPress Themes, for the LESS than the cost of one! The combined cost for the three themes is $135 to the PUBLIC, but using this special offer discount link, you get all three, AND 100 Bonus Background Patterns, for less than $10! Use these themes for your site, as well as client sites. The Developer License is INCLUDED with your purchase! Have you heard about the new social site sweeping the globe right now? Of course I’m talking about Pinterest.com! As with anything of this magnitude, there’s a way for marketers like us to profit from this venue. 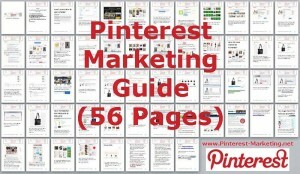 Jimmy Mancini has just released The Pinterest Marketing Guide on the Warrior Forum, at a DRASTIC DISCOUNT. It shows you everything you need to know to profit from Pinterest, and you can get started TODAY. autiful WordPress themes for $9.97 is an outright steal. Actual demo for each theme – click the link and be impressed. The WSOTakeover plugin adds header/footer ads to ALL of your blog posts that contain the BEST Warrior Special Offers, with YOUR affiliate links 100% of the time! When your referrals click on these links on your blog, you will earn INSTANT commissions, directly to your PayPal account! It’s a powerful thing when somebody we know and trust recommends a product. That’s why so many affiliate bloggers do well! Word of Mouth marketing has been a favorite of marketers for many years, but the introduction of viral marketing took it to the next level. Your average customer can recommend your product to 130 friends with just the click of a button, and with this new plugin Ive found, they’ll be thanking you for the opportunity! Viral buyer is a brand new plugin for WordPress that promises to generate more Facebook likes for sales pages, and practically turn your site into a viral marketing machine that scours your customer networks for interested prospects. And that’s just fine, UNTIL one of your plugins get an update or even WordPress itself gets an update and you find you have to UPDATE every single one by hand! Well, not anymore – a new plugin has just been released that lets you manage ALL of your WordPress blogs from 1 location, in 1 admin panel, all at once. Forget paying someone to spend hours updating your blogs/plugins, and forget doing it yourself. Getting a new product ready to market is just the first step. Then you have to actually create a sales site that will handle payments and automate the delivery of your new product. There are more pieces to a good sales system than most people realize. Do you have a way to protect your downloads? Can you recruit and pay affiliates? Do you have a way to collect follow up info from customers? Do you have a back-end product – or a One-Time Offer? Will your Sales Page convert? How can you test it? That’s why you need to check out this new software that just a few people have even discovered yet. It’s called WSO-Commissions-Plugin, and it’s an all-in-one marketing system that controls lead capture, split-testing, payment processing, affiliate payment, secure downloads, one-time offers, and much more. It installs easily and you can put it on as many sites as you want! I’m going to keep this short, because I have no doubt that you are going to want this the moment you see it… especially when you see the price! Whether you have your own product, or a hard drive full of PLR or Resale Rights products and have been looking for a way to get them out into the marketplace making you money… the answer is as plain as the nose on your face. Do us both a favor, and check this out right now!